Digitized Resources Related to Nathan Francis Mossell, M.D. Donated by Mrs. Ardelia Stewart, Executrix of the will of Gertrude Elizabeth Nicholson Cunningham, Nathan Mossell’s granddaughter, in 1989, through the assistance of Mrs. Gussie H. Gelzer, secretary to the Alexander Family. The Nathan Mossell papers are organized into four series: Biographical, Writings, Frederick Douglass Memorial Hospital and Lincoln University. The family papers are organized by family member: Gertrude Bustill Mossell, Mary Cambell Mossell, Mossie Mossell Griffin, Bustill-Mossell Family and Gertrude Cunningham. The material in each series has been arranged alphabetically. Nathan Francis Mossell was born in Hamilton, Canada, on July 27, 1856. His parents eventually settled in Lockport, New York circa 1865, where Nathan spent the majority of his childhood. In 1873, Mossell entered Lincoln University’s preparatory program, receiving a Bachelors degree in 1879. While at Lincoln, he met and courted his future wife, Gertrude Hicks Bustill(1855-1948) and after graduation, decided to pursue a medical education in Philadelphia, a city that served as the national center of American medical education during the nineteenth century. Dr. Mossell serves as a pioneer among African American medical professionals in the late nineteenth century, paving an educational as well as professional path for both black men and women in Philadelphia as physicians and nurses. 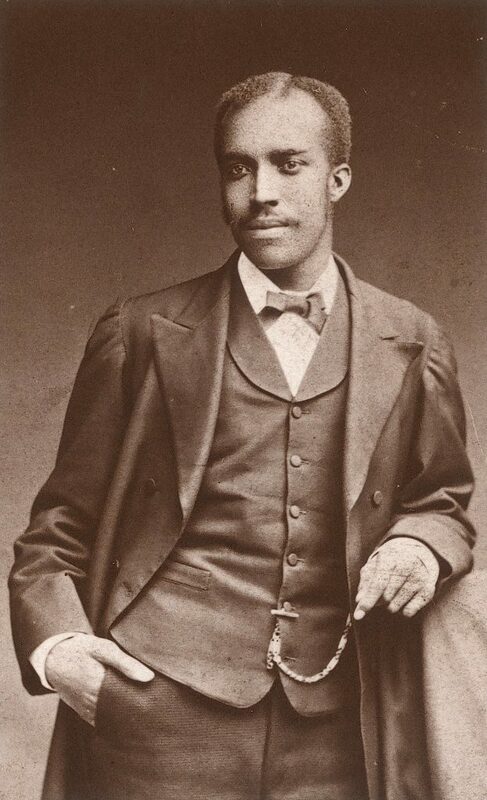 In 1879, Mossell became one of the first African Americans enrolled at the University of Pennsylvania. In 1882, Mossell was the first African American to receive a diploma from the University of Pennsylvania Medical School. Roughly a decade late, in 1895, Dr. Mossell established the first private black hospital in the city and the second in the United States, the Frederick Douglass Memorial Hospital and Nurse Training School at 1512 Lombard Street. 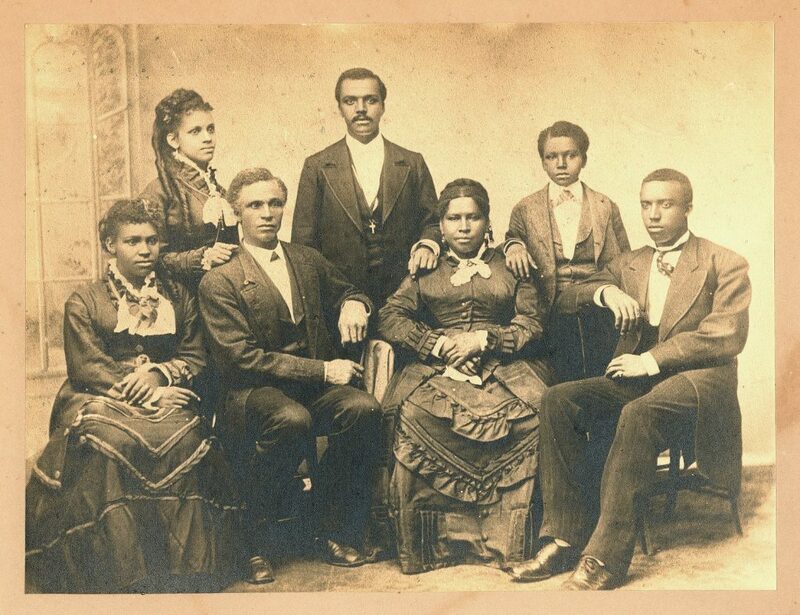 With few options available to black physicians during the 1880s, Douglass Hospital not only served as the first institution devoted to treating and healing black bodies in the city, but also symbolically represented one of the earliest efforts to initiate the rise of a respected, professional class of African American men and women. He served as Douglass Hospital’s Superintendent and Medical Director for over thirty-years, retiring in the early 1930s. Beyond his multiple accolades as a physician, Mossell was also a staunch civil rights crusader. His inability to accept what he commonly referred to as “caste prejudice” established him as a public figure above all else, who was determined to fight for equal rights for African Americans. His writings attest to his fervent opinions about discrimination against blacks and his efforts to change racist policies in the vicinity of Philadelphia, but also nationally through organizations such as the NAACP. Beginning in the early 1890s, Dr. Mossell fought for the desegregation of Girard College, a school originally founded to educate and support white orphans. Other efforts such as his participation in the Niagra Movement in 1905, reflected his opposition to how other Africa American uplift leaders approached and envisioned the social assimilation of black Americans by the early twentieth century. On October 27, 1946, he died at the age of ninety-one, leaving behind his wife and two daughters, Florence and Mary Mossell. The Nathan Mossell Papers document his medical career and social leadership from the 1890s to 1940s and they include professional and public writings by Dr. Mossell, specifically on the Frederick Douglass Memorial Hospital and socio-political issues facing African Americans in the late nineteenth and early twentieth centuries. The collection also contains two scrapbooks with newspaper clippings on Douglass Memorial Hospital, hospital events and memorabilia, as well as correspondence between members of the Douglass Board of Managers and its Medical Director. Many documents are the original brochures and advertisements from hospital fundraisers as well as graduation ceremonies for the Nurse Training School. Family materials include writings by Gertrude Bustill Mossell, as well as documents relating to the genealogical history of the Mossell-Bustill family. A family photo album contains forty-three portraits of members of the Bustill and Mossell families as well as close friends, dating from the 1860s through the 1880s. Frederick Douglass Memorial Hospital (Philadelphia, Pa.).